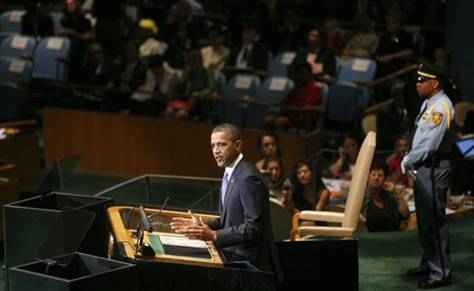 During his address before the U.N. General Assembly, President Obama provided an outline of his administration’s foreign policy agenda. The top of the agenda focused on the current peace talks between Israel and the Palestinian Authority. After the recent rounds of talks, the president praised the leaders for the promises made but also held that “words must be followed by action.” He went on to request for Israel to extend the settlement moratorium as a sign of goodwill and that the two heads of state also continue the talks on a regular basis until an agreement is reached. 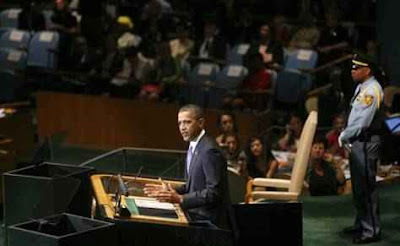 The president also gave an update on the efforts to end the development of nuclear programs in Iran; following the passage of tougher sanctions against the country, President Obama said that the government has failed to prove the peaceful intentions of its nuclear development. “The door remains open to diplomacy,” but the Iranian government must show proof that it is living up to its responsibilities, said the president.